FIRST published in 1989 this packed early DATAFILE, written by Peter M Grosz, contains 1:48 and 1:72 scale plans by Ian Stair, many rare archive photos and a trio of authentic profiles on the rear cover supporting Ray Rimell's colours and markings section. 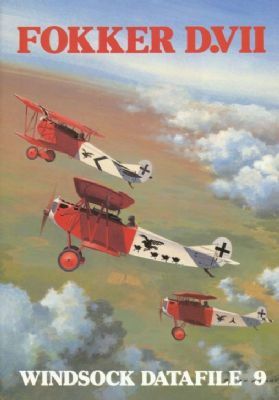 It was the first DATAFILE to carry a full front cover action painting and what better subjects than the colourful Fokker D.VIIs of Jasta 18-the famous 'Raben'-portrayed so vividly by noted aviation artist Brian Knight. Our last remaining file copy in good condition.